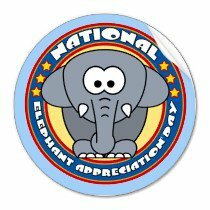 Since 1996, Americans have celebrated National Elephant Appreciation Day every Sept. 22. For all those who will join together on September 22nd to honoring the largest land animal in world. 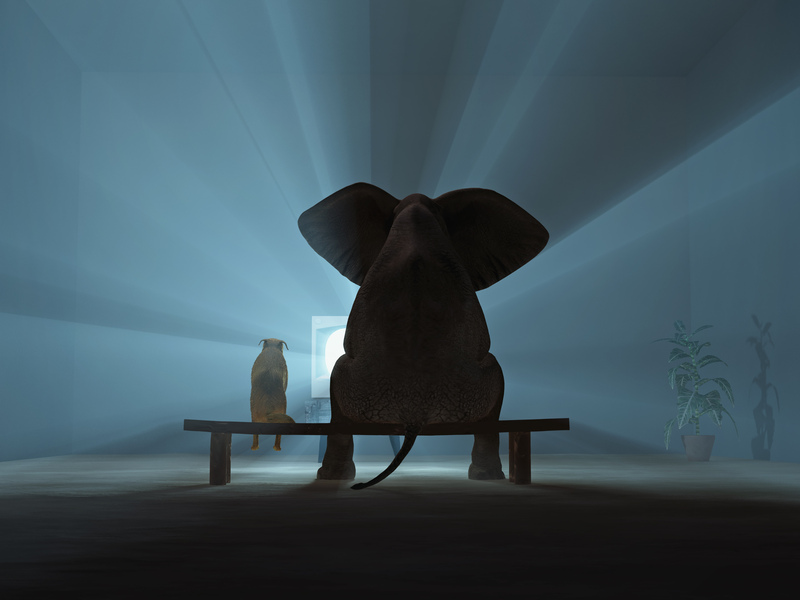 Wayne Hepburn, the founder of Mission Media Inc., created in 1996, received a paperweight of elephants on parade from his daughter as a gift. He became fascinated by them. 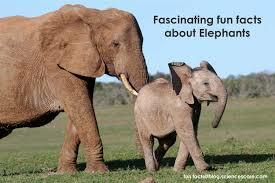 He amassed a huge collections of elephant books and paraphernalia. His fascination and love of elephants, led to the creation of this day so you and I can stop and enjoy this huge, lumbering beast. How honored I am that you would consider me for this blog award! Patty writes an interesting blog and simultaneously shows the most beautiful photos. I sincerely recommend that you have loook at her blog! 1) The nominee shall display the Versatile blogger Award logo on her/his blog. Marc-Andre: He lives in London with his two cats Nubia & Oliver. Yuki: Also lives in London with her two cats Mao & Snowball. Laura: Currently lives in the outskirts of Japan. You may have seen her fun reviews of Japanese cat cafes. 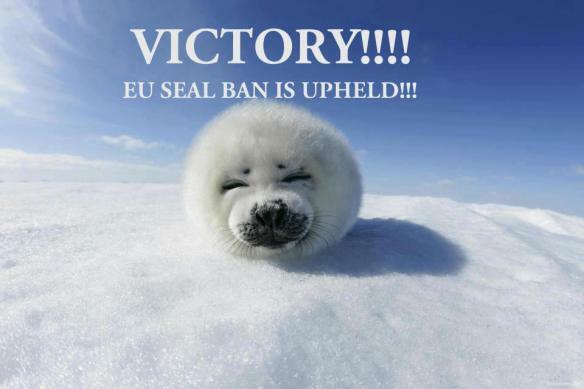 The EU’s three-year-old ban on seal fur will remain intact after the bloc’s highest court threw out a legal challenge by the Canadian Inuit and the country’s fur trade. The case had been brought by Inuit community group, Inuit Tapiriit Kanatami (ITK), and the Fur Institute of Canada, with both organizations claiming that their livelihood depends on the trade. 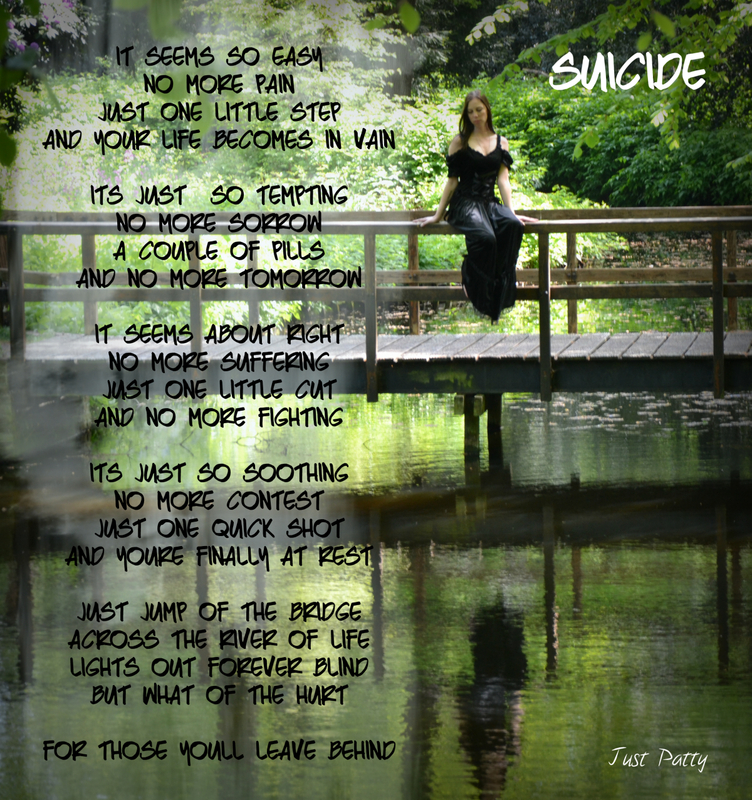 As most of you might now, I blog for suicide prevention often. 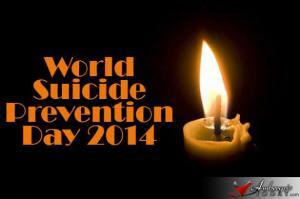 I think it’s very important that suicide stops being a taboo and people just talk openly about it. Being suicidal is NOT something to be ashamed of! Being depressed is NOT something you should have to hide! Reach out, there are people who care. I am right here and I care. Expressing his emotions has never come easily to Damian Aspinall, but as the conservationist and casino tycoon gazes at an extraordinary sequence of photographs from his recent visit to West Africa, there is sorrow in his eyes. 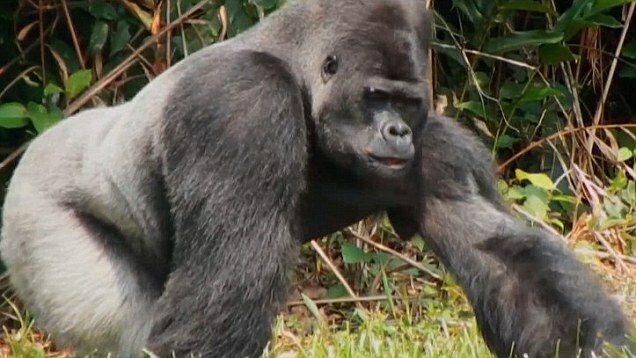 Taken two months ago, when he and his eldest daughter, Tansy, 25, journeyed to the vast wildlife reserve his foundation runs in Gabon, the pictures capture the uplifting moment when a family of gorillas raised in his Howletts animal park in Kent took their first, tentative steps to freedom. The Aspinalls had known the ten gorillas all their lives and regarded them almost as their own kin. And they watched in awe as the troop, which had been kept for months on a river island where they learned to forage for food and fend for themselves, loped across a wooden bridge and into the great unknown. Though Damian has returned 80 gorillas to the wild, it was the first time anyone had attempted to reintroduce a complete family, and it seemed then that this controversial experiment — which had been years in the planning and cost hundreds of thousands of pounds — had been vindicated. Among the zoological establishment, his maverick style of conservation has long been regarded with suspicion, much like that of his colourful late father Johnny, who founded the Aspinall zoos with the millions he earned from London’s society gambling rooms. 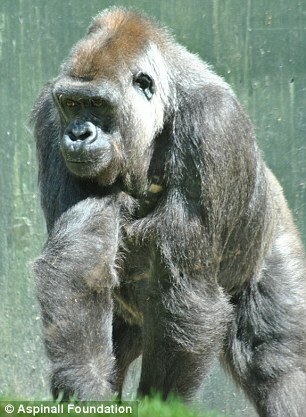 Aspinall senior was decried for his insistence that his keepers should interact closely with the animals — a policy that saw five of them killed by animals during the Eighties and Nineties. His son has not endeared himself by criticising conventional zoos and their methods, saying he would like them all closed down and their animals set free. His six-day trip to Gabon reinforced his conviction that he was on the right track. Before leaving, he and his daughter (who was famously videoed playing with a gorilla in its pen when she was a baby) went by boat deep into the rainforest to make contact with another group of much-loved ‘friends’ they released many years ago. To their great joy, they found the animals thriving in their ancestral homeland, and were thrilled to be greeted with cuddles and nose-rubs. ‘Tansy said afterwards that it had been the best trip of her life,’ Damian, 54, told me wistfully at his Belgravia office this week. ‘It was incredibly moving for me, too. It was a wonderful and very emotional thing to see these animals walk to freedom, knowing we had given them that opportunity. 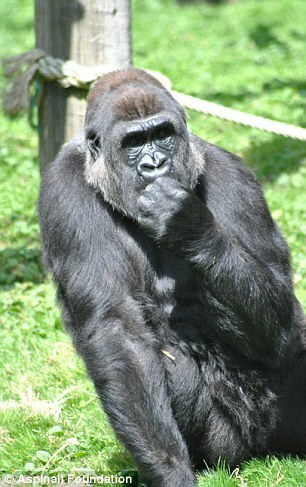 ‘Gorillas don’t have the same concept of freedom as humans, of course, but I sensed that Djala (the male leader of the newly arrived troop, who has been in Aspinall’s care since being rescued 30 years ago, just as he was about to be slaughtered and eaten) somehow realised he was in a better place, and I was responsible for that. Indeed not. Two years ago, when he first told me about his most audacious project, he acknowledged that it would carry ‘enormous risks’. He had been concerned that the gorillas might eat some poisonous fruit, or contract a disease their immune system couldn’t combat. Yet nothing prepared him for the horrific news relayed by his field-staff in a flurry of increasingly grim messages earlier this month. First he was told that two of the newly freed gorillas — both adult females — had disappeared: very strange, given that they ought to have been traceable via implanted radio transmitters. Then, a few days later, he learned that their decomposing bodies had been discovered. They hadn’t been attacked by a leopard — perhaps the only predator capable of killing a fully-grown gorilla — for there were no bite wounds. From the extensive trauma to their skulls and torsos, it seemed they had been brutally battered to death or swung by the limbs with enormous force against the trunk of a tree — the hallmarks of a ferocious attack by another gorilla. Since then, three more of the Kent contingent have been found dead, though it is unclear how they were killed. This brings the death toll to five, while a sixth remains missing. 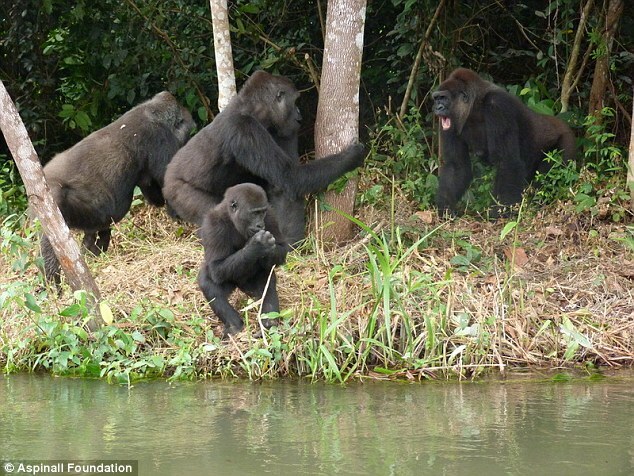 More disturbingly still, the victims were Djala’s five wives and a baby female named Akou, one of his four children. 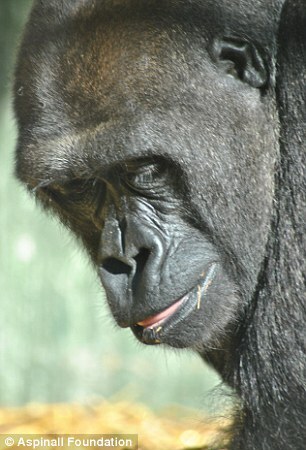 This week, Aspinall handed me the tragic list: the five confirmed as dead are: Tamki, aged 25, Kishi, 16, Mumba, 27, Kibi, 22 and Akou, three. FouFou, 22, is the missing wife. 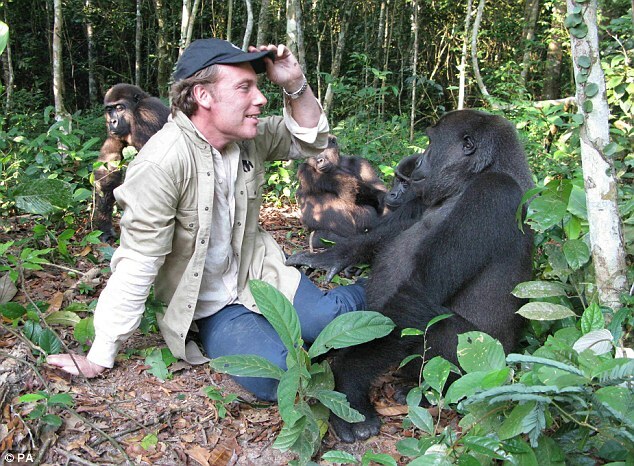 Though Aspinall describes the multiple fatalities as a ‘setback’ and vows that they won’t wreck his great back-to-the-wild dream, they are plainly a personal and professional disaster. The bridge has been dismantled and the grieving survivors confined to the island — which remained their home even after they were free to wander elsewhere in the forest — and the entire project has been suspended as measures are taken to protect them. Meanwhile, an investigation of Scotland Yard proportions has been launched to solve a murder mystery so bizarre it appears to confound the very tenets of primatology. In Gabon, all manner of dark theories are circulating. 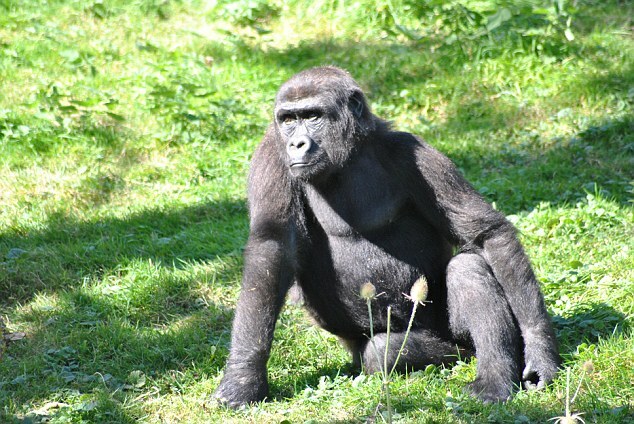 There is even a suggestion that the gorillas were not bludgeoned to death at all, but poisoned and then mutilated by poachers or someone with the desire to sabotage Aspinall’s conservation project. He, however, dismisses these rumours, saying he and his team have already identified the likely killer. 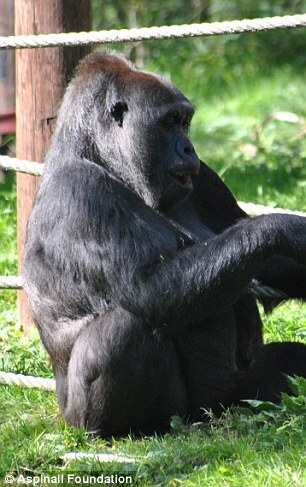 They believe he is a silverback named Boumanga, one of many gorillas his own foundation has rescued from appallingly cruel captivity in Africa. 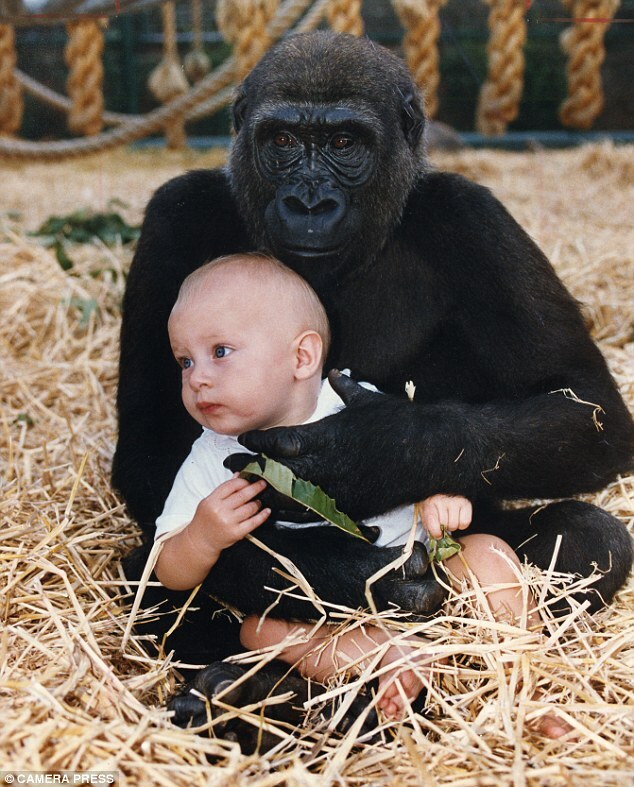 Boumanga was taken in 14 years ago when he was an infant, and cared for in Africa before being released into the wild shortly afterwards, where he grew into a 32st colossus. No one saw the attacks, as Aspinall readily concedes, but he says there is a welter of circumstantial evidence against this ‘rogue male’. For one thing, Boumanga nests close to the riverbank, just across from the island where the killing spree occurred, and lives a curiously solitary existence. While another silverback living nearby heads a very big family of 26, including several wives, Boumanga has no mates or offspring. This is highly unusual, given that neighbouring males usually divide the females among themselves and seldom live without mates. Aspinall says his team were aware of this well before the attacks, but never imagined he might pose a threat. They simply assumed Boumanga was a harmless oddball who couldn’t attract females, while the male with the huge harem was a veritable super-stud by comparison. The one thing he might try to do was steal one or two of the Kent females as his ‘wives’, ran their thinking. If he did it would be no bad thing, for it would help to diversify the gene pool among the gorillas in the reserve, thus making in-breeding less likely. It now seems evident that the brooding loner had more malevolent intentions — though, as Aspinall reflects darkly, ‘hindsight is a wonderful thing’. 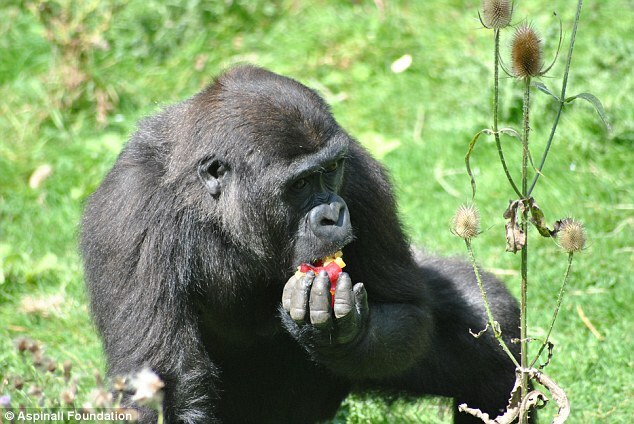 As gorillas are habitually placid and good-natured, and it is virtually unheard of for males to kill adult females, he says Boumanga may have been ‘deranged’ by his traumatic early experiences in captivity and grown into what humans would regard as a pathological serial killer. He adds: ‘I have agonised about this for days — we all have. 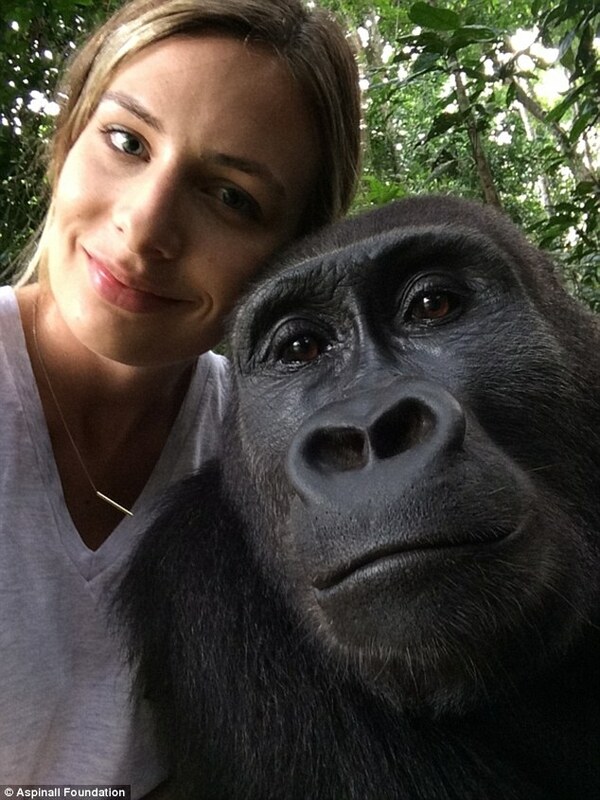 Was it because the female gorillas had been in captivity and were behaving in a way they shouldn’t in the wild? It’s possible. Was there a sexual motive? We couldn’t tell, but he was clearly out to get the women. ‘Can you get psychotic gorillas? For sure — it can happen with all animals. Maybe (as a baby) he was kept in some shed, or hung upside down, or beaten. We don’t know his exact background so we don’t know what mental damage there might have been. Whatever his motivation may have been, Boumanga is known to have stolen across the bridge to the island shortly before the onslaught. Soon afterwards, the jungle was filled with chilling shrieks and frenzied thrashing sounds. It seems he had fought and won a titanic battle with Djala — the male leader of the Kent troop — who was so severely bruised and swollen, perhaps in attempting to defend his wives, that he had to be treated with anti-inflammatory drugs. Then, one by one, the bodies were found. 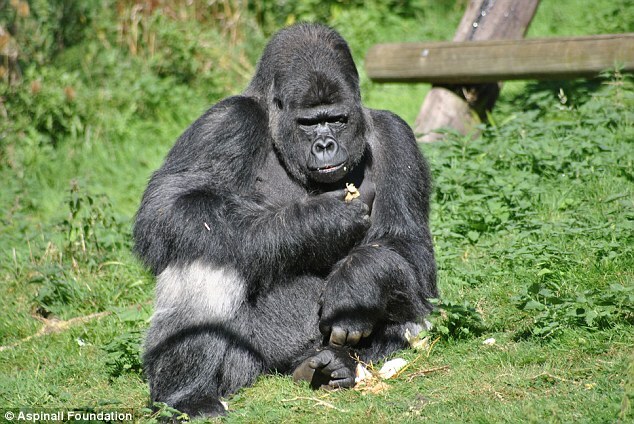 They could have succumbed to stress, he surmises, pointing out that gorillas carry a parasite called balantidium, which can multiply with fatal consequences when they are under strain. However they died, he maintains that his reintroduction project has been broadly successful, with a survival rate of 80 per cent; considerably better than that among captive-bred gorillas. And though lessons will be learned, he says defiantly, he won’t allow this incident to derail his mission — even though several of the world’s leading experts this week expressed reservations about it. 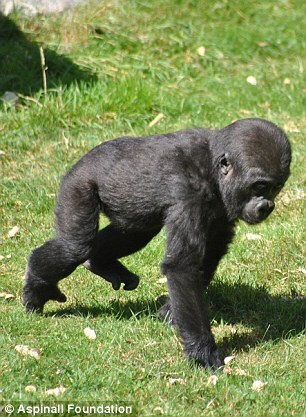 To Dr Mike Cranfield, a respected U.S wildlife veterinarian specialising in gorillas, the notion that all animals ought to be returned to the wild is a ‘majorly flawed ideal’, regardless of these unprecedented attacks. By effectively meddling with nature, he suggests, Aspinall — for all his good intentions — could cause untold damage to the wild gorilla population, for instance by introducing some harmful gene or disease they are unable to combat. Dr Cranfield also queries the wisdom of breeding gorillas in England and transporting them to Africa at huge expense, when the money might be better spent on conserving the 100,000 already living in the wild, which are endangered by poaching, habitat loss and the rampant ebola virus. Dr Martha Robbins, of the Max Planck Institute, who has studied gorillas for 25 years and runs a field site in Gabon, has similar reservations, describing the release of animals that have spent their lives in zoos as ‘a huge ethical question’ fraught with complexities. ‘We shouldn’t just assume that because these animals are gorillas, they’ll know how to survive in the forest — what foods to eat, how to live with other gorillas, and among predators. As for the supposition that Boumanga — or any other gorilla — deliberately killed the six females, Dr Robbins believes it is highly doubtful. 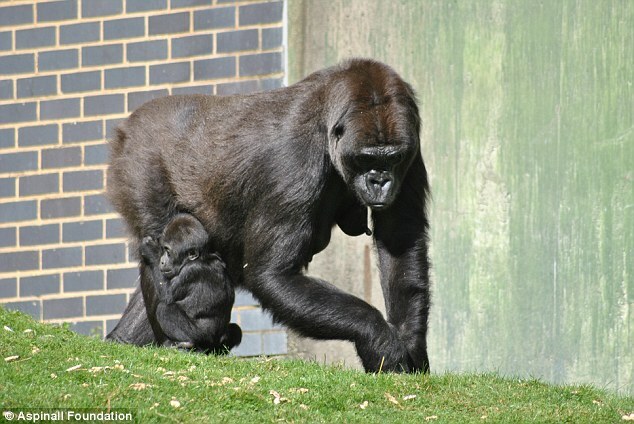 While infanticide by male gorillas is quite common (nursing mothers can’t be impregnated, so the males will kill their babies to make them fertile) she says she has come across only one case where a silverback has deliberately killed an adult female. She suggests the females might have died in any number of ways, from disease to the stress of radically changing their diet. And she adds: ‘I appreciate that Damian Aspinall is very dedicated to this project and his animals, and I think it’s human nature to point the finger. 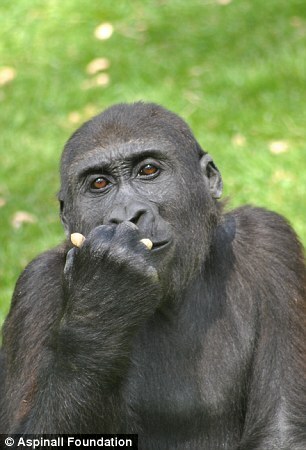 Accustomed to such scepticism, Aspinall responds with a weary contempt. His critics may be eminent in their field, he says, but he has never heard of them and they know nothing about him or his work, which not only involves the conservation of gorillas, but a huge range of animals, including the critically endangered black rhino. He says the Gabon reserve, once ravaged by poachers, has become a ‘honeypot’ of wildlife under his foundation’s protection. 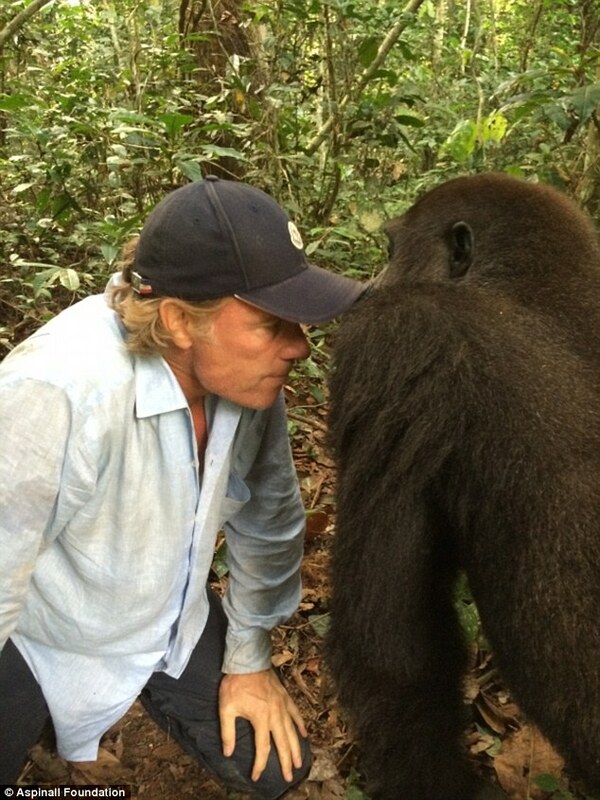 Furthermore, he clearly believes his knowledge of gorillas and their habits is far superior to that of his detractors, and having seen him mingling with gorillas as if he were a member of their family, this is hard to dispute. ‘When you do something different, people don’t like it, and we are trying to do things another way — we are trying against all the odds to change an entire culture in the way animals are looked after,’ he says with a steely glint in his eye. This isn’t to say that the killings haven’t caused him angst-ridden moments of doubt. His pressing concern now, though, is for the future of the project and the welfare of the five surviving gorillas, and he faces some difficult decisions. 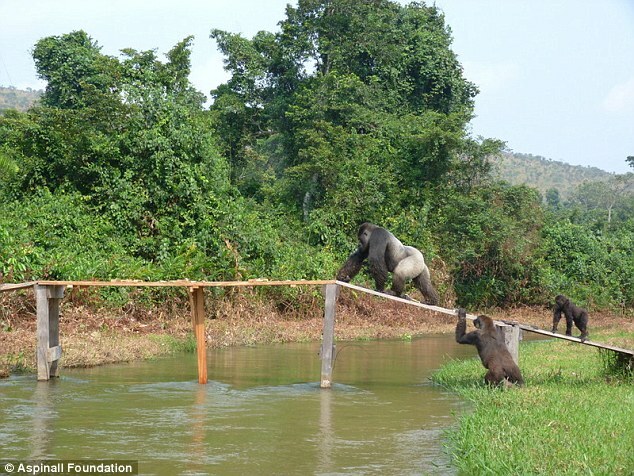 Should he dispatch more Kent-reared females to join the pining Djala? If not, how should his loneliness be resolved? And what should become of Boumanga? 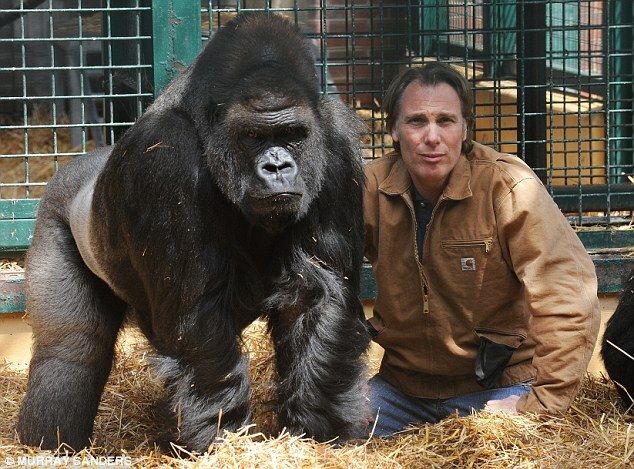 Aspinall looks aghast when I ask whether he might face the ultimate punishment for murder; yet clearly if he was the killer, he must be removed to some remote corner of the reserve. For a few days ago his hulking silhouette was seen on the riverbank, as if he were waiting for the bridge to be rebuilt. If the ‘deranged loner’ with an apparent grudge against foreign females should manage to sneak back to the island, even a casino boss surely wouldn’t bet against him striking again. With Parliament setting aside three hours tomorrow for a debate on rhino poaching and its impact on national heritage, the timing of a letter seeking Ministerial approval for “calculated hot pursuit” could not have been better. The letter, penned by Randburg lawyer Christopher Bean, asks Environment Affairs Minister, Edna Molewa, to “extend the principle of hot pursuit to include capture and arrest of known poachers and middlemen residing in Mozambique”. The use of hot pursuit as a deterrent to particularly rhino poachers operating in the Kruger National Park first came up a year ago when retired Army General Johan Jooste suggested it to SANParks management. Indications are it was discussed when a South African Department of Environmental Affairs delegation met their Mozambican counterparts for discussions on a conservation memorandum of understanding. This included counter-poaching. At the time of the MOU signing it was said hot pursuit was not yet part of the agreement but there would be further discussions. Last month National Police Commissioner Riah Phiyega told a media briefing hot pursuit was happening. “Yes, we have a hot pursuit agreement meaning that when somebody crosses the border we do have an agreement with Mozambique to follow through,” she was quoted as saying. This was subsequently expanded on by police spokesman, Lieutenant General Solomon Makgale, in response to a defenceWeb enquiry. He said hot pursuit was not confined to suspected rhino poachers but also to suspects of crimes such as stock and vehicle theft as well as drug and human trafficking. The hot pursuit option was in accordance with a Southern African Development Community’s (SADC) Southern African Regional Police Chiefs Co-operation Organisation (SARPCCO) operational agreement. He declined to provide details of specific rhino poaching hot pursuit incidents as did Jooste, who referred defenceWeb to the SA Police Service. This public has to date had no response from the Department of Environment Affairs on its question as to whether it was aware of any SADC agreement regarding hot pursuit ahead of discussions with Mozambique on the conservation MOU. One who is unhappy about the hot pursuit issue is Democratic Alliance shadow deputy environment minister Terri Stander. She questions its legality and extradition issues and will raise these points in Tuesday’s debate. As far as legality is concerned Bean maintains “calculated hot pursuit” is in use worldwide and can be used to back rangers and soldiers crossing into Mozambique “armed with information/evidence as to the existence of known poachers and middlemen financing them”. He terms it “a means of remedying a wrong committed on South African soil without having to go to war to rectify that wrong. In short, hot pursuit is a form of safety valve against war,” he states in his letter to Minister Molewa. Environment Affairs has not yet issued a monthly update on rhino poaching statistics with the last information released on July 31. That indicated 618 rhinos killed national with Kruger accounting for by far the majority – 400. Source: TimesofIndia.Indiatimes.comNEW DELHI: The government is all set to open ‘creches’ for lion cubs in its bid to arrest the decline in the population of the big cat in the country.Protection of the endangered species is a top priority for the government and the environment and forests ministry is now learnt to have firmed up a plan to set up model creches for abandoned and orphaned cubs on the lines of similar facilities for human babies. These creches will nurse injured, abandoned and vulnerable lion cubs and tigers and mechanisms will be formed to save these endangered animals. At present, these cubs have no protection and often die in the absence of care. “We are working out plans to create a creche-like facility for care of abandoned or orphaned lion cubs. Once it is complete, the facility will be on the lines of that for humans,” said environment minister Prakash Javadekar. He said that the country takes pride in the fact that more than half the world’s lion population is found in India. Meanwhile, listing out the steps being taken by his ministry to protect tigers, Javadekar said that an assessment of their population was underway and the numbers will come by January next year. The minister also announced the setting up of a new Tiger Reserve, the 47th in the country, in Maharashtra and said plans were afoot to prepare wildlife conservation landscapes across the country. To check the poaching of tigers, the ministry has okayed the setting up of a Special Tiger Protection Force, Javadekar said, adding that e-surveillance would also be done to map tigers’ presence across the country. The minister also said that steps would be initiated to check the menace of rhinoceros poaching. He also announced he would be visiting Kaziranga National Park in Assam for two days on September 4 and 5 to talk to all stakeholders regarding the steps necessary for tackling poaching and for the rehabilitation of the human population living in the reserve. Talking about death of elephants while crossing rail tracks, Javadekar said a gate was being created for animals to pass. “We are using all available technology to protect wildlife and, at the same time, ensure progress,” he said.